I can empower you to connect more deeply with your writing and yourself. I spent a year training to be a certified life coach so I could work with clients in a style similar to talk therapy. Life coaches are not licensed therapists, but a coaching session with me can resemble a session with a therapist. I work with clients one-on-one, in workshops, and in classes. I don’t critique or edit manuscripts. I don't accept queries or submissions through this website or through my coaching email address for my day job at a publishing company. While we're at it, please note that that the views expressed in this site and on my social media are solely my own and do not reflect the views of my employer. If I became your coach, we'd start out by talking about your goals. Then we'd collaborate on creating a plan that would likely include accountability to help you meet them. We'd connect via Skype or FaceTime, as well as email, on a regular basis, so you can live anywhere in the world and work with me. No two coaching relationships are the same, so your program would be ours to design together! Want to see if coaching is a match for you? Schedule a free introductory one-hour session with me via Skype, phone, or FaceTime. Kendra Levin was inspired to become a life coach by her experiences as a publishing professional and award-winning playwright. A graduate of the Leadership That Works program in Coaching for Transformation, Kendra has been a certified life coach for writers and other creative practitioners since 2008, working with a wide range of one-on-one clients both in the U.S. and internationally. 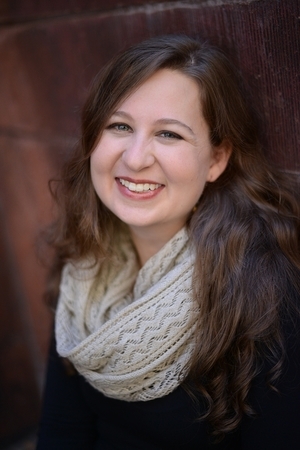 Kendra has run workshops for creative organizations including Theater Communications Group, and writers' groups including the Society of Children's Book Writers and Illustrators, the Connecticut Press Club, Children's Writers of the Hudson Valley, and Women Who Write. She has taught several classes for Mediabistro, including Get Over Your Writer's Block and Young Adult Novel Writing, and to female prison inmates through the Bard Prison Initiative. She has taught several classes to defendants awaiting trial with the Focus Forward Project. Kendra has been a publishing industry professional since 2002 and is currently the associate editorial director of Viking Children's Books, an imprint of Penguin Random House. She is one of the co-founders of the Representation Matters Mentorship Program. As an editor/coach, she has spoken at conferences, run workshops, and facilitated retreats for writers in over twenty states and several countries. Follow her @kendralevin to find out where she'll be going next. Her home base is New York City. Kendra's works have been produced Off- and Off-Off-Broadway. 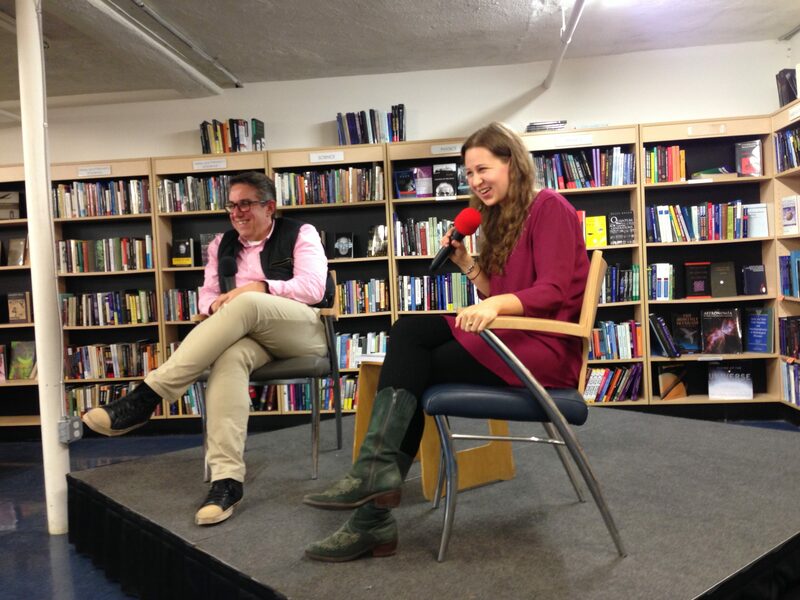 But these days, her greatest passion is inspiring and empowering other writers. If you still want to know even more about Kendra, you can read this interview with her in the Rumpus or listen to this conversation with her on the Literaticast. "Working with Kendra was like enrolling my inner writer in an accelerated program on navigating the writing life. Kendra is one of those rare people who can consistently ask just the right questions to help you discover the insight that lies at the core of the week’s tangled worries, doubts, and frustrations. I always left our sessions with something precious. Sometimes that “something” was simply renewed faith in the writing process; sometimes, it was a lightning bolt of inspiration that could carry me for weeks to come." "Kendra Levin's coaching has made it possible to ease myself out from under the load of self-criticism and doubt that has kept me from truly engaging my path as a writer. Her gentle questioning and feedback encouraged an experimental approach to forming new attitudes and behaviors, and allowing those that weren't helpful to drop away. The guided meditations at the beginning and end of our work together evoked images, words, and feelings that remain with me as luminous touchstones. 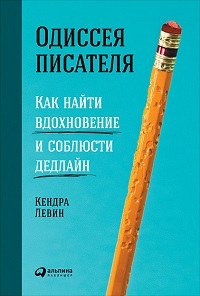 The best part of Kendra's work is that it's not really about the writing – it's about your life! I am profoundly grateful for the experience." "Kendra is a very thoughtful coach. She is in tune with the rhythms of writers and understands the challenges that they face in ways that other coaches I have spoken with do not. She has a warm approach and wants to take care of the individual needs of her clients." I've led workshops, spoken at conferences, and facilitated retreats in more than twenty states and abroad, for groups as small as six and as large as several hundred. Teaching is one of my passions, and I've taught classes in person and online. Book me for your event, or work with me to create a customized event for you and a group! 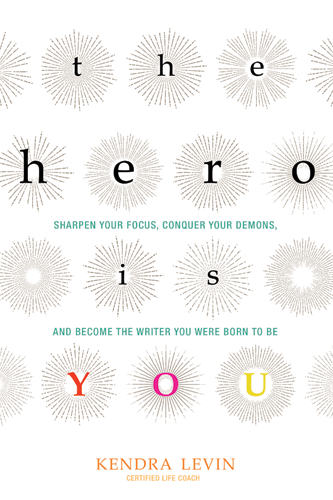 The Hero Is You is a grounded self-help book that offers writers a healthier process, liberation from old issues and habits, and the courage and confidence to write as they’ve never written before. 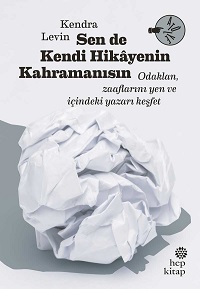 Each chapter is packed with practical tips and advice, craft tools, road-tested creative exercises, and insights from professional writers. Building on the archetypes in Joseph Campbell’s heroic journey, The Hero Is You will take you from the inception of a brand-new idea all the way to completing a project, revising it, and sharing it with the world. By the time you finish the book, you'll have a more effective writing process, feel more deeply in tune with yourself, and be doing the best work of your life. 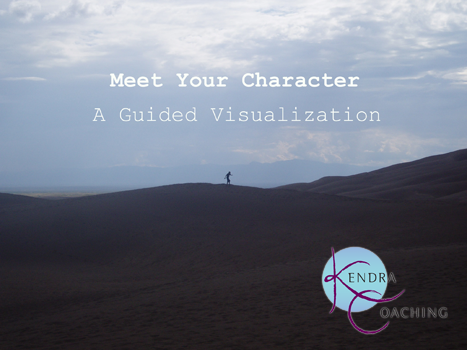 A popular feature of workshops I've led all over the country, this twelve minute-long guided visualization will help you get to know the main character of your writing project like you never have before. What's motivating your protagonist? What does your character want? What's blocking her or his path? Download "Meet Your Character" and let me take you on meditative journey that will plug you into the heart of your story. Want to get free content from Kendra like e-courses, writing exercises, and more?